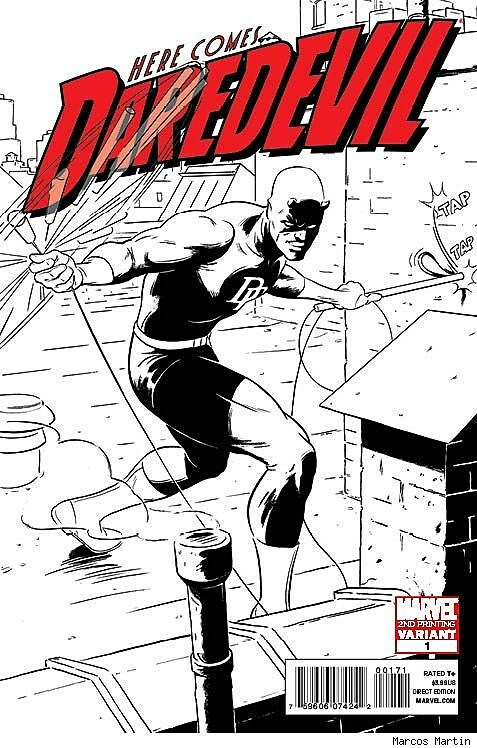 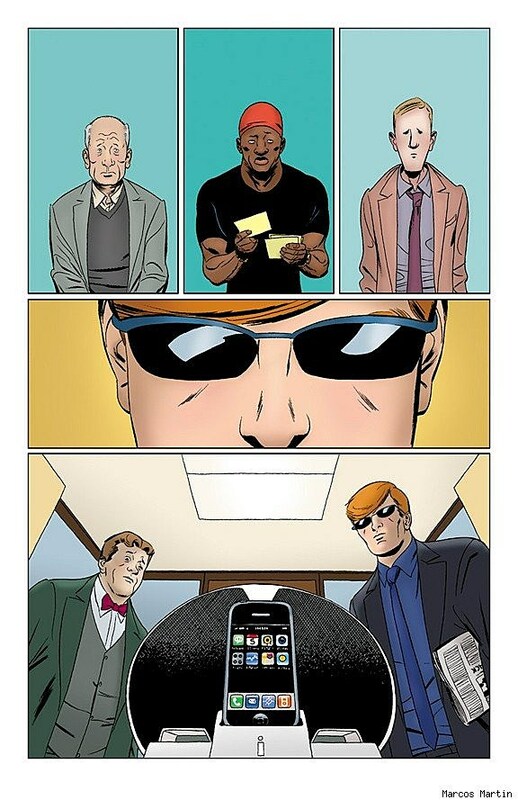 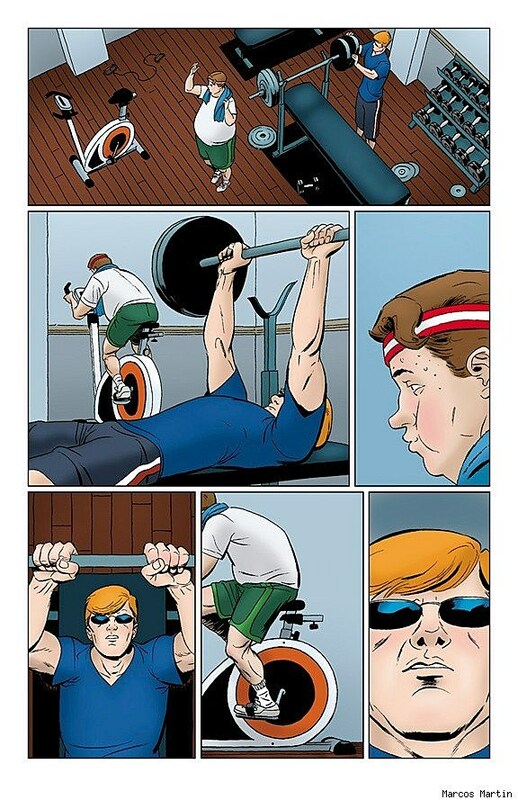 Although just two issues of Daredevil have been released so far, it seems very likely that the relaunched Marvel Comics series about a blind superhero lawyer will find itself on nearly everybody's best-of lists at the end of the year. 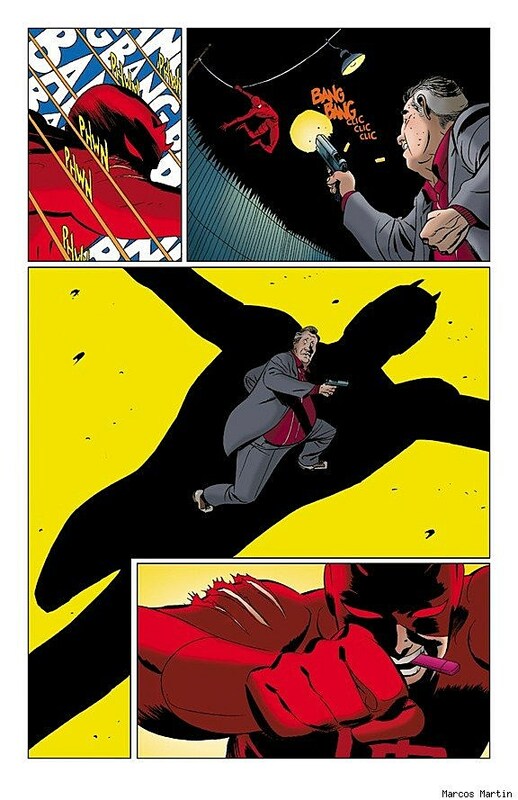 Writer Mark Waid's fairly radical reinvention of Matt Murdock from a tortured noir figure into a bright but sophisticated superhero has endeared the new series to many (like our own Chris Sims, who spoke with Waid about it on CA's War Rocket Ajax podcast), the phenomenal artwork and storytelling of Paolo Rivera also plays an enormous role in the success of Daredevil -- a success that's about to be compounded with the arrival of Marcos Martin. 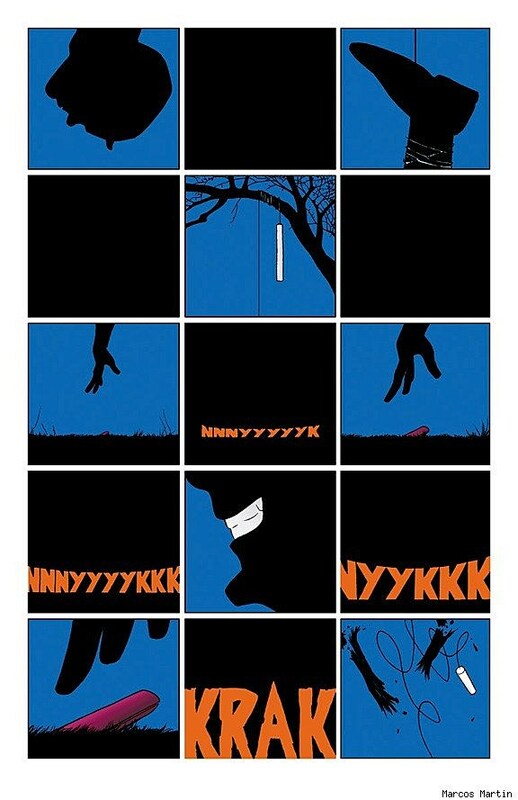 A fan-favorite for his work on Amazing Spider-Man and Batgirl: Year One, among others, Martin will alternate storylines with Rivera, with whom he shares a brilliant talent for crisp, dynamic pages that are as fun as they are dramatic. 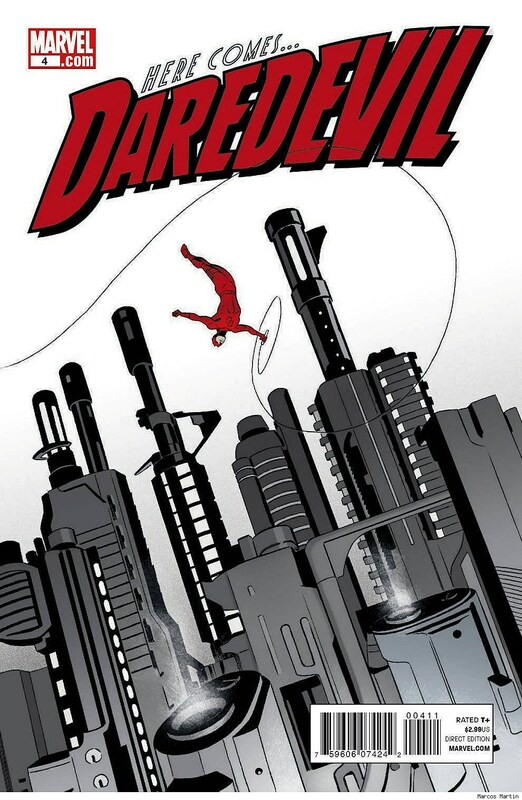 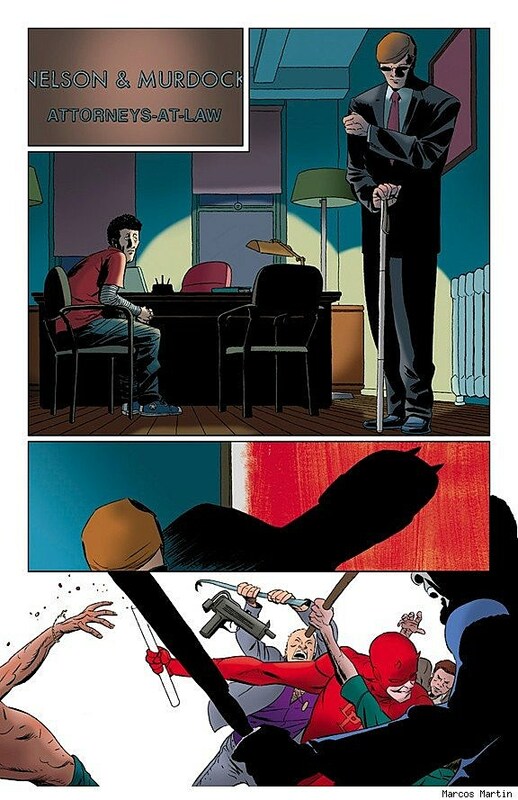 Marcos Martin hits Daredevil #4 in September, but you can check out some unlettered pages after the cut.Daredevil #4 goes on sale September 21 in comics shops everywhere and can also be pre-ordered online at Things From Another World.